In the big cities looking for a parking space is quite hard to come by especially in the rush hour, was used despite the cramped quarters with difficulty. 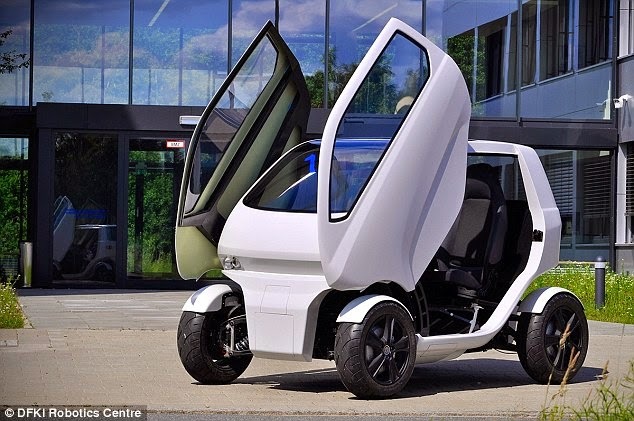 However the German engineers have an innovative solution, a small electric car that can be changed in place, shrink and even move sideways like a crab, so it also can park itself. 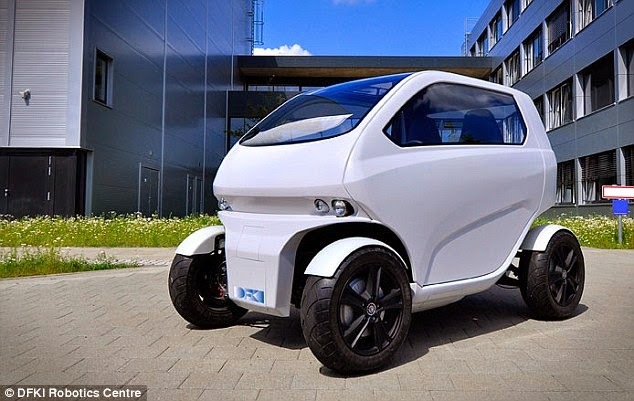 The micro car named 'EOssc2' and described as ultra flexible micro car to the big city and is designed to be interconnected to form trains. The crabs have a wide flat body to make it easier to shrink into a small space and so does the EOssc2 work at the same way. As reported by the Daily Mail on Monday, April 27, 2015, EOssc2 has the wheels that can maneuver to mimics the crab movement. The unusual design is also featured a forward tilt and door open like the famous DeLorean car from the "Back to the Future" movie.